She is my Corn Dog Pinup girl that I drew for my friend as a joke a long while back, but decided I liked her and used her for my freelance graphic design logo. :-P This is the bottom left hem of the tshirt. :) I did a hoodie, too. That is so creative, it looks great! 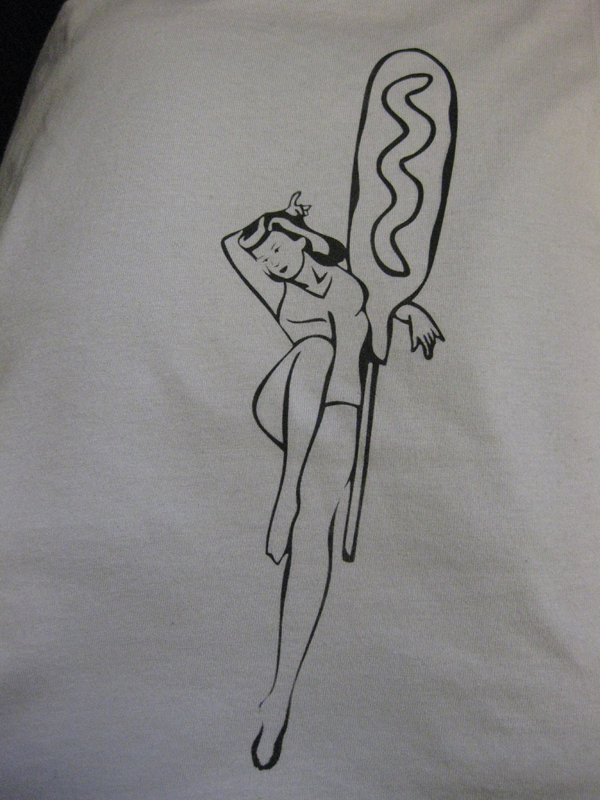 I would so get that tattooed on me.... because of my love for pin ups and corn dogs!! soo cool! 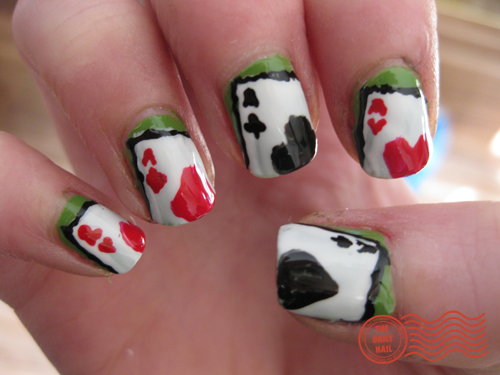 i love it!i love poker haha! 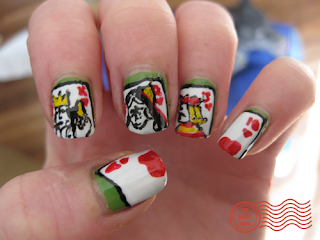 Hi, I am posting "The Daily Nail" on my blog. It's funny and cool blog. Visit my blog and leave a comment, thanks. I wanted to post this one to my blog also! I refrained, but I'm going to have to share some more of your work later next week! Congratulations on getting on Blogs of Note. Love your blog and I think your Poker Nails are hawt! So far these are my fave. Thanks, you guys! I'm completely flattered by the response that I've gotten from this blog. Y'all are incredible!